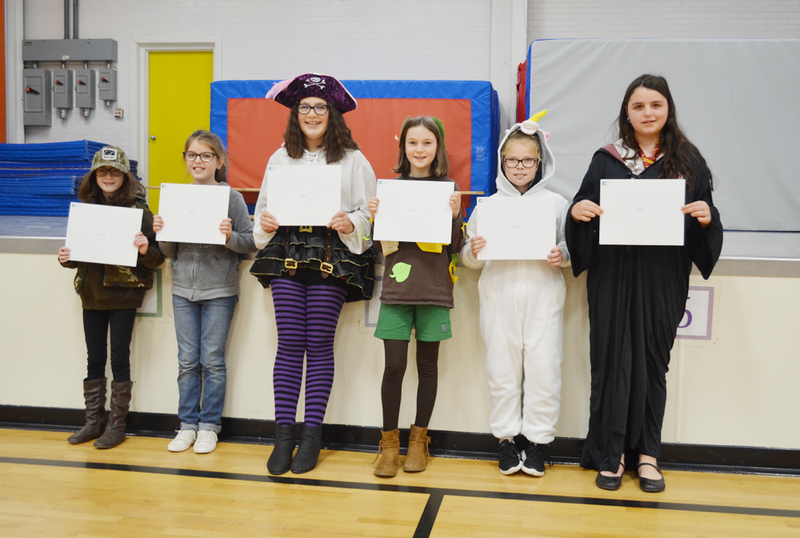 Pictured above, left-right, are Sienna St. Jean, Monique Lepage, Janelle Lanctot, Brenna Garant, Jordyn Bedard and Dani Cloutier, at Ecole Routhier. They completed the Diplôme d’études en Langue française (DELF) exams in Grade 5 and received their diplomas during the monthly assembly on October 31. DELF is one of six diplomas issued by the French Ministry for National Education, to certify French language skills. DELF DALF au Canada is involved in providing the exams and diplomas. Photo by Mac Olsen.